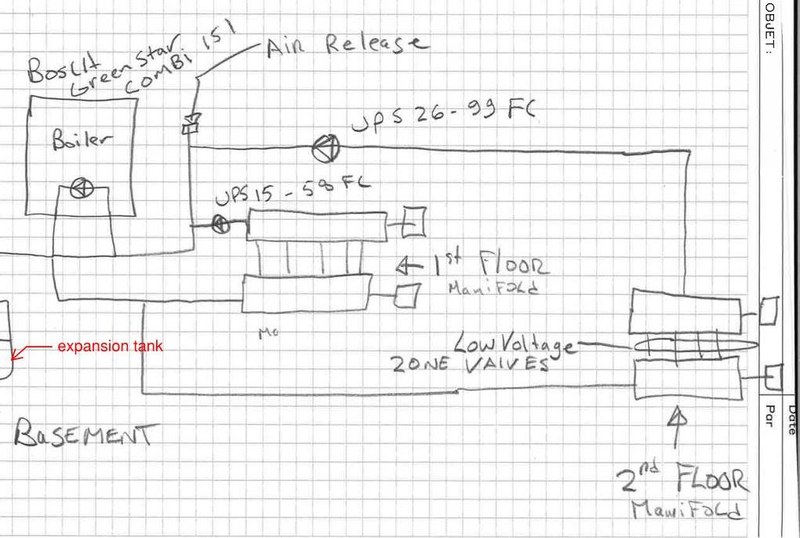 My radiant floor heating system heats the first and second floor and my system is in the basement. When the zones of the second floor are heating a lot of air gets in the system. Not a problem for the first floor. 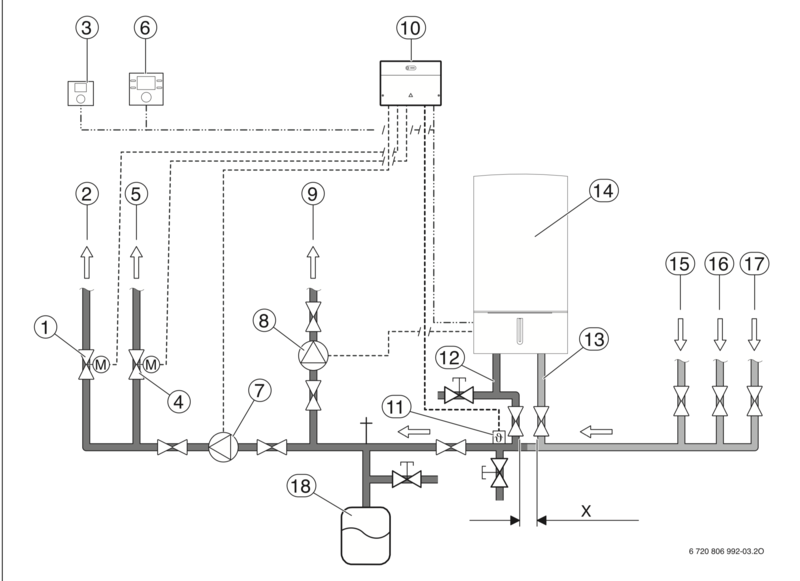 A main feed and return, fed by a circulation pump, supply a manifold on the second floor that distibutes the hot water. There are low voltage valves on the return in the manifold to control the demand for heat. I recently noticed that the pump, which in my system pulls the water to the boiler not push the water fro the boiler, starts at the demand for heat will there is a delay before the valves open. My question is, could this pull on a closed system creat the air problem in my system. Please note that I have been told that the pump is also over sized (see my previous post). I suspect it could be more of the pump to expansion tank relationship causing chronic air issues. If the pump is on the return, and expansion tank connected to the supply here is a graphic of the pressure dynamics. When system pressure decreases due to pumping at the tank, air removal is much tougher. Do you have a good central air purger near the boiler supply out? A picture or sketch of the piping is worth a thousand words. Hello Here is a simple line diagram. Boilers like yours are pretty sensitive to proper piping arrangements. Do you have the installation manual handy? They will usually detail the various piping methods allowed, here is a Bosch example, not sure if it is your model? You can download the manual and piping drawings. Part of your sketch is missing, not sure it is piped properly or not?